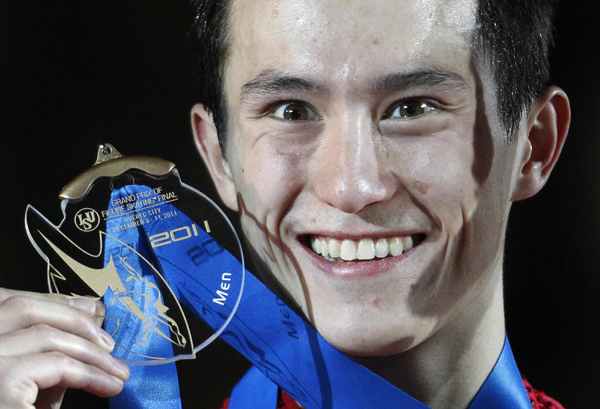 So much of what Patrick Chan does is linked to emotion, his inner life, how it feels to do something, what it means to him. It gives him a restless foot. And that’s how he’s found himself in Vancouver for the past couple of months to prepare for the national skating championships and Olympics, thousands of miles away from Detroit, where he’s hung his hat for three years or so. The final tipping point was Skate Canada International last October in Regina, not the most glamorous of spots in his world itinerary. But everything went wrong. After a frustrating trip, with flight delays, missed connections, and missing costumes, Chan outwardly said it relaxed him, and he’d skate in a borrowed shirt if he had to. But “running around like a dog in the airport trying to get on a plane,” left him unsettled and unhappy. And then he completely fell apart in the long program, dropping from second after the short to fourth overall. And it wasn’t pretty. Not at all. 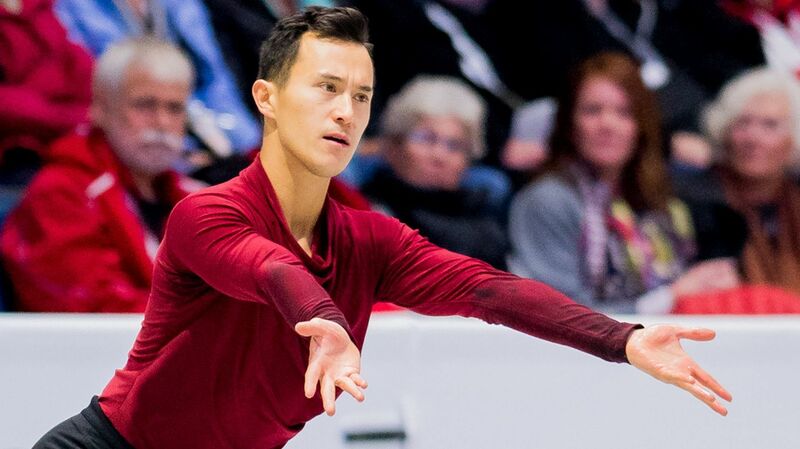 Chan called it his worst skate on the international stage. It wasn’t the way to get to the Olympics. No doubt the pressure was on. But it was more than a missing suitcase that hobbled Chan. He had already announced he was scaling back his quads for Skate Canada, because he felt fear every time he took his opening pose, thinking of the formidable jumping tasks he had to accomplish as Canada’s skating flag bearer. It undermined his confidence. He was unhappy. Jumps weren’t his thing. His magnificent footwork and skating abilities – hitting top speed in a stride or two – didn’t seem enough in this new world of quads. While he was away on a respite, the skating world changed. 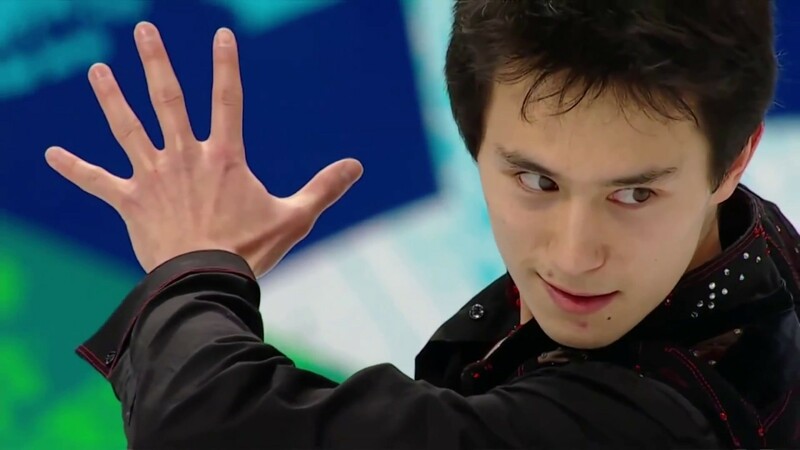 After Skate Canada, Chan took about 10 days off, just to gather his thoughts and “really think well and hard about my motivation and my determination to go for it,” he said. He had come to a crossroads. He had to decide which path to take. He pulled out of NHK, which also lost Yuzuru Hanyu to practice injury, and he lost any chance of qualifying for the Grand Prix Final. He disappeared completely from the conversation. He headed for Vancouver, where he has friends, and finally stepped on the ice a couple of times. And it was only then that he decided to go on. He started with light training. Baby steps. Then in mid-November, he really began to work again. He buckled down, knew he wasn’t going back to Detroit and began to choose the people he wanted to help him make the run to the Olympics. This wandering minstrel has actually, moved every few years to train. He started out in Toronto under Osborne Colson, but when he died, Chan followed Don Laws to Florida. But it was a lonely existence for a young, outdoorsy guy, and he moved to Christy Krall in Colorado Springs, where she helped his quad game. Indeed, Chan was the first to bring back the quad after the 2010 Olympics. He then forged a relationship with his dance instructor Kathy Johnson and had to find another rink: Detroit it was. When the relationship with Johnson no longer worked, Chan moved to another spot in Detroit. All suburban Detroit. And while he did so, many of his friends, like Eladj Balde and others left. Overall, he’s been in Detroit for several years. He’s been training in the United States for seven years. So he’s come back home. And he says it feels good. Not only is the exchange rate to his advantage (The Canadian dollar is worth at least 20 per cent less than the U.S. dollar), but he’s able to take advantage more easily of everything that being a national team athlete offers: off-ice training, physiotherapists, massage, chiropractic medicine. His new trainer, Anna Aylwin is just over the Rockies in Calgary, working at the Canadian Sports Institute in Calgary. She’s a specialist in strength and sport physiology. And then there’s Kelly Quipp, an exercise physiologist there. Together, they are mapping out Chan’s training sessions. The plan? It’s day to day. Week to week. It’s not as if there has been a plan from November. His Calgary family started out by telling him he had so many weeks to get the work done, and this is the way to handle it. “Yeah, I did lose a lot of time,” he admitted. Coach? Well, Chan now has a team. Ravi Walia, based in Edmonton, has been helping Chan. Chan has gone to Edmonton a few times to work with him. Liz Putman, a former national pair skater, is the creative director at the Coquitlam club in British Columbia. She’s writing plans out, talking to Walia and the folks at the Canadian Sport Institute and making sure everyone is on the same page. “It’s been great,” Chan said. It’s also seems very complicated. Chan said life in Detroit was starting to take a toll. He’d go home from the rink and feel like there wasn’t much to motivate him outside the arena. Walia will be the coach that stands by the boards with him at the Olympics. But Walia’s first priority is world silver medalist Kaetlyn Osmond. If there is a conflict, then his mentor from the Detroit club, Oleg Epstein, will stand with Chan by the boards. Marina Zoueva says she’s still in contact with Chan and is happy to help in any way. And she loves him and feels he’s special and unique. As for all his post-skating opportunities, Chan has to put them at the back of his mind. “They are all kind of waiting in the curtain for their turn,” he said. “I’m going about one goal at a time and right now that’s nationals next week and the Olympics.” He has no idea if he will go on to the world championships. It hasn’t entered his mind. He said nobody at Skate Canada had discussed the world championships. However, he would be particularly useful for Skate Canada, to set up men’s berths for next season. Well, that’s what Adam Rippon does. He has a totally different mindset. Nothing will stop him. He’s proud of what he does and he does it well. beautiful skaters out there ….could watch you skate for hours …….